Apple's new CEO Tim Cook did things differently in his first event as Apple's official leader. The low-key CEO had no problem not making a big bang in his first presser as Steve Jobs replacement. Cook did not introduce the iPhone 5 to the world Tuesday in fact Cook did not introduce an iPhone at all. Instead Apple's boss let the company's senior vice president for worldwide product marketing, Phil Schiller, introduce the new phone, which turned out to be an iPhone 4S and not an iPhone 5. The early response was not positive. Apple's stock fell 3 percent shortly after the company announced the new phone. "Despite competitors trying really hard to copy the iPhone 4, they haven't really been able to come close," Schiller said. In fact it was Apple copying its own successful recipe -- antennagate aside. Externally the phone will look a lot like the iPhone 4 and it will still be a 3G phone. The phone will be available Oct. 14 on AT&T, Verizon and new comer Sprint. 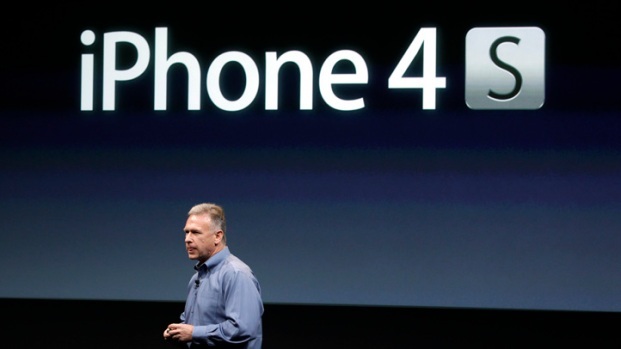 Apple introduced an iPhone 4S, which Schiller says will have CPU speeds that are two times faster than the previous version, with dual-core graphics that will be seven times faster than graphics on older iPhones and it will run on the A5 chip with an 8-megapixel camera. "Of course it starts with a Retina display, of course it's glass on the back," Schiller said. "But don't be deceived, because inside it's all new." Perhaps the feature that will get the most press is one that Apple is calling Siri. The new spec will allow iPhone users to speak directly to their phones and ask questions like "Do I need a raincoat today?" and the phone will respond. Schiller said users will be able to speak naturally to the phone when they hold down the home button and the system will be able to recognize the command. Schiller said Siri's performance will improve the more you speak with it. Users will be able to use it to ask for directions, to read text messages, schedule a meeting, dictate emails and more. Siri will be available in English (U.S., U.K. and Australian dialects) and French and German. More languages will be released soon. The new phone will also have improved battery life. It will have up to eight hours of 3G talk time. six hours of 3G Internet browsing, 10 hours of video, 40 hours of music and nine hours of surfing on Wi-Fi. The new phone will range in size from 16 gigabytes to 64 gigs and its price will vary from $199 to $399. 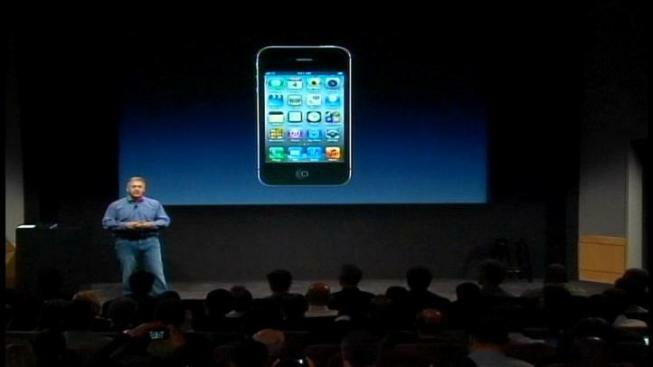 The iPhone 4 will now cost $99 with a new contract and the iPhone 3GS will be free. See what people are saying about the Apple announcements.